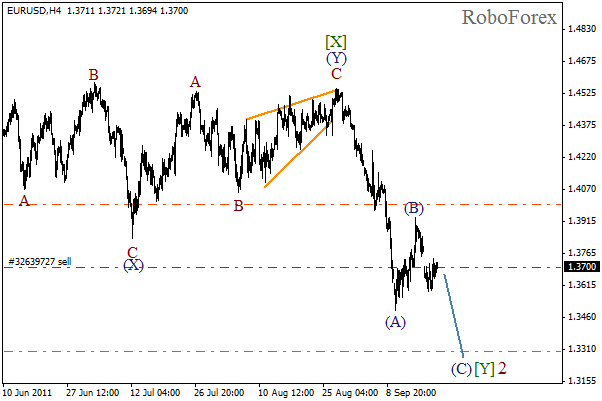 Despite the fact that the market has broken the maximum, we can still expect the price to form the fourth wave. Most likely, the correction will take the form of some irregular wave pattern, double three pattern, for example. In the near term, we can expect the consolidation to continue. 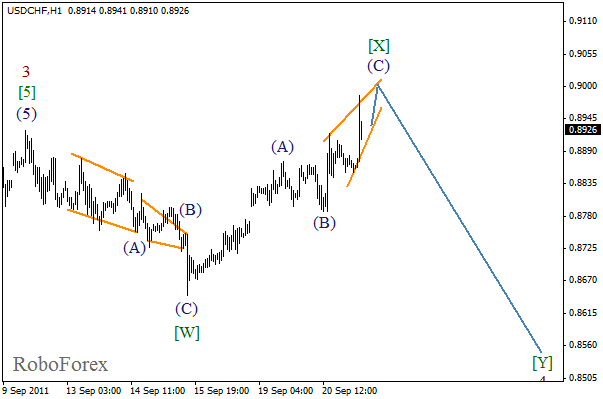 Most likely, wave [X] will take the form of zigzag pattern. On the minor wave level we can see the formation of diagonal triangle pattern in wave (C). The local growth of the price may continue during the day, but later we can expect the market to reverse. The current consolidation of the price at the level of yesterday’s gap is totally in favor of the bears. Most likely, the market will rebounds from ерыlevel and the price will start moving downwards. After the price reaches a new local minimum, I will move stop on sell order into the black. It looks like the second wave at the H1 chart has been completed. 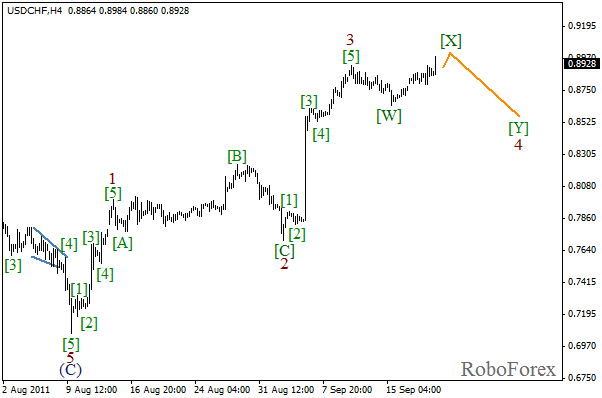 During the day we can expect the “rally” phase in wave 3 of (C). The forecast is still bearish. 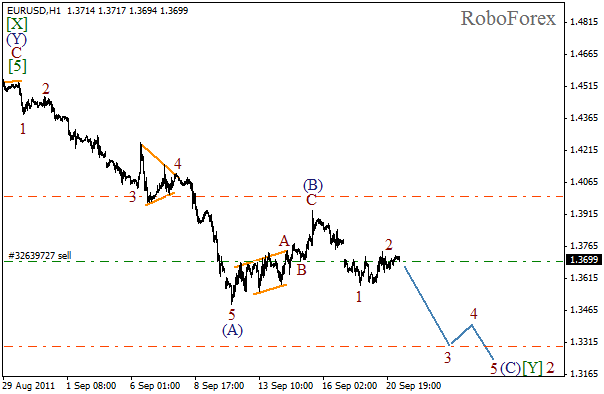 The short term target is the level of 1.3300.